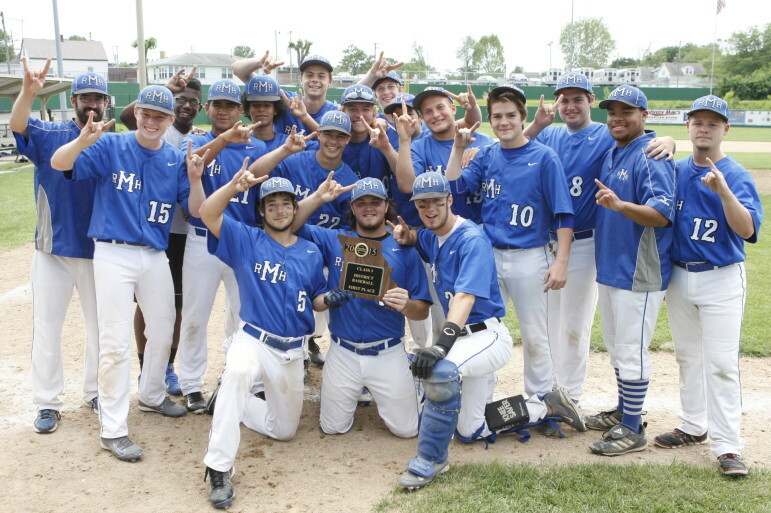 For the second year in a row, Maplewood Richmond Heights beat Brentwood for the Class 3 District 4 baseball championship. Last year’s championship was the first for MRH since 1963, now Coach Jonathan Webb will have returning players who have done it twice. “He’s been everything we hoped he could be today,” Webb said. “It takes a lot for a kid to face your rival in a district title game like this—and throw a no-hitter? Incredible. Biship said he didn’t know he was going to have a district no hitter. See more photos on 40 South News Facebook. In the bottom of the fifth, left fielder Riley Sporleder ran down a deep pop fly by Brad Jones, then Gabe Jackson took one to right, and first baseman Mike Langston made the last out of the inning unassisted. MRH scored on seven hits, with runs in the third, fourth and fifth innings. Seven stolen bases helped the Blue Devils’ cause. Biship made it interesting in the bottom of the seventh, walking the first two batters and hitting the third, loading the bases with no outs. “I started dropping my elbow a little bit and not coming over the top. Once I learned that, and my catcher, Dan (Williams), told me about it, went straight back to it, got em out. “We played as a whole, and I believe this is the first time we’ve actually done that all year, and it’s a great time,” Biship said. 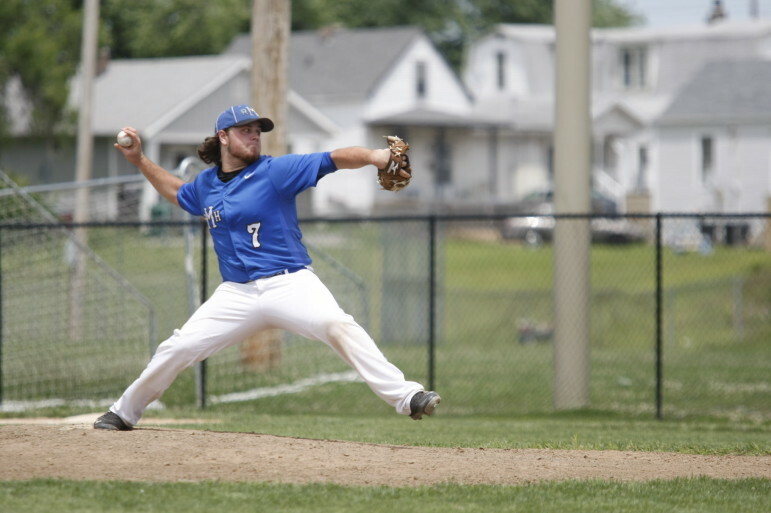 Brentwood Coach Mike Imergoot said some of his batters weren’t quick enough with the bat. MRH senior Zach Siebert said the team was working toward to this game all year; he said Brentwood took MRH off their schedule so this was their first meeting. Brentwood finished the season at 14-5. MRH stands at 13-10 and will play the West County Bulldogs (16-7) Monday at 4 p.m. at West County, in Park Hills, MO, in sectional play. This was a well-played game both offensively and defensively. 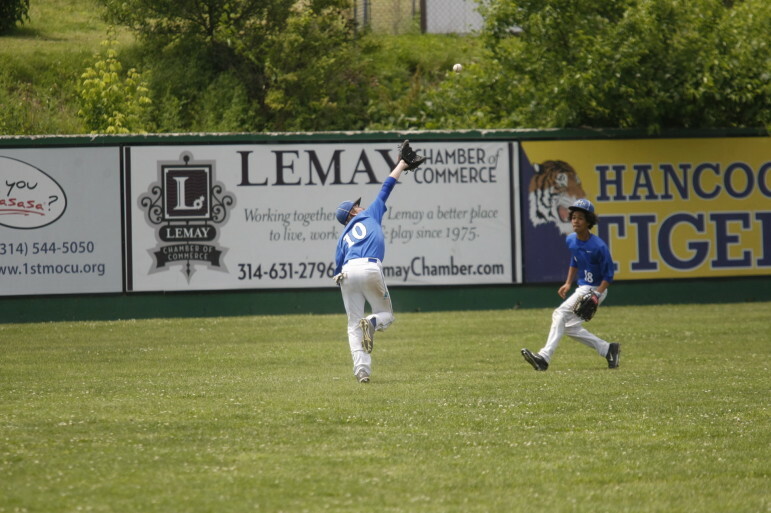 The MRH Blue Devil team have won games with big scores and lost several games by one run to LARGE schools. They have gotten stronger and more confident as the season progressed. This is a team that, collectively, contributed to an impressive win. Their fans are very proud of them.